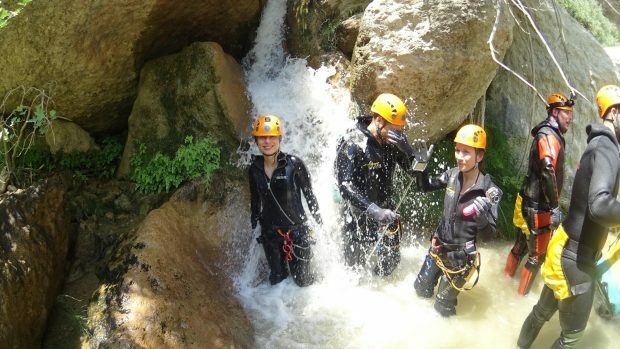 Parkour, weight lifting, running, extreme sports, film making, music production, reading. 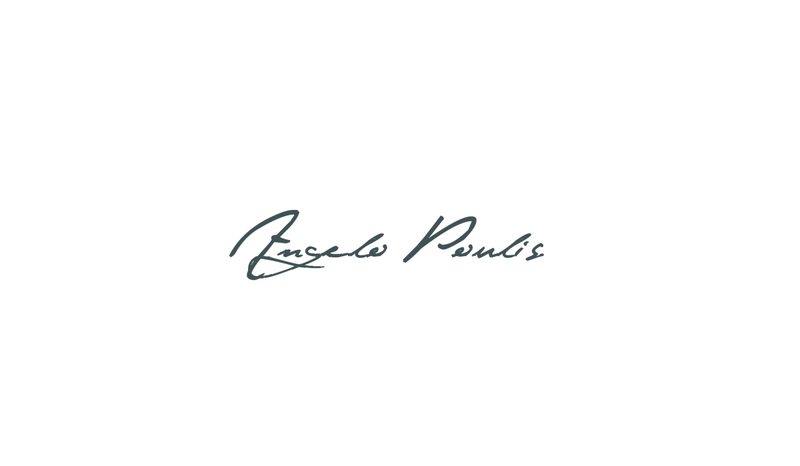 I am Angelo Poulis, born in Athens-Greece. 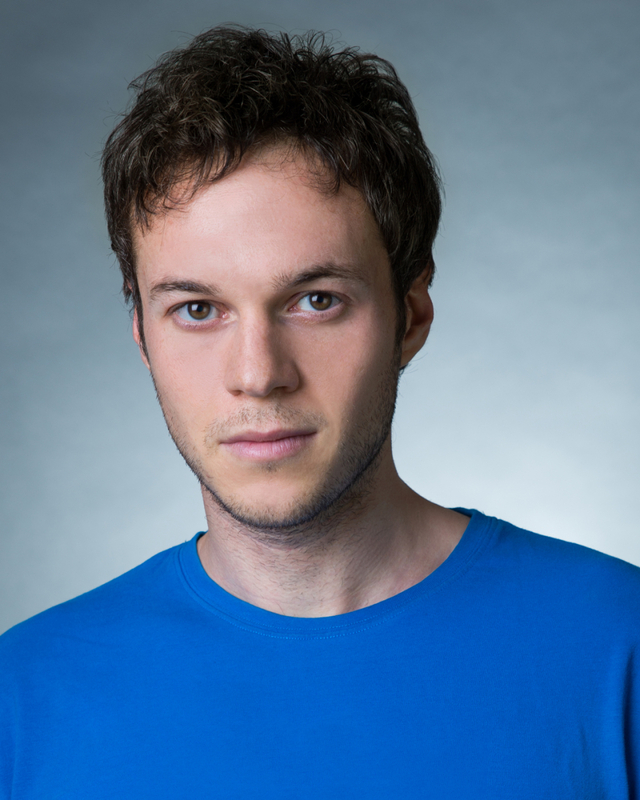 I am an Actor, Parkour athlete / Stunt performer and also a Film Maker. 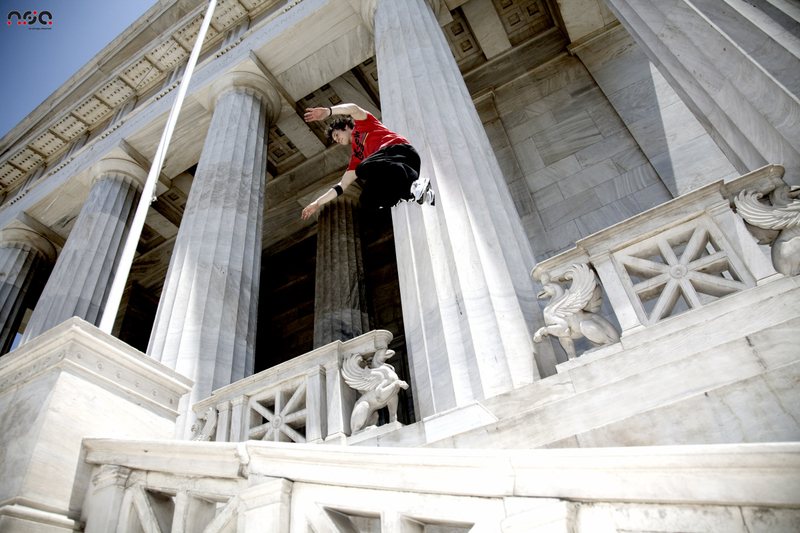 I am considered to be one of the Greek Parkour Pioneers and the co-founder of the first official Greek Parkour team N.S.A which was formed in 2007. 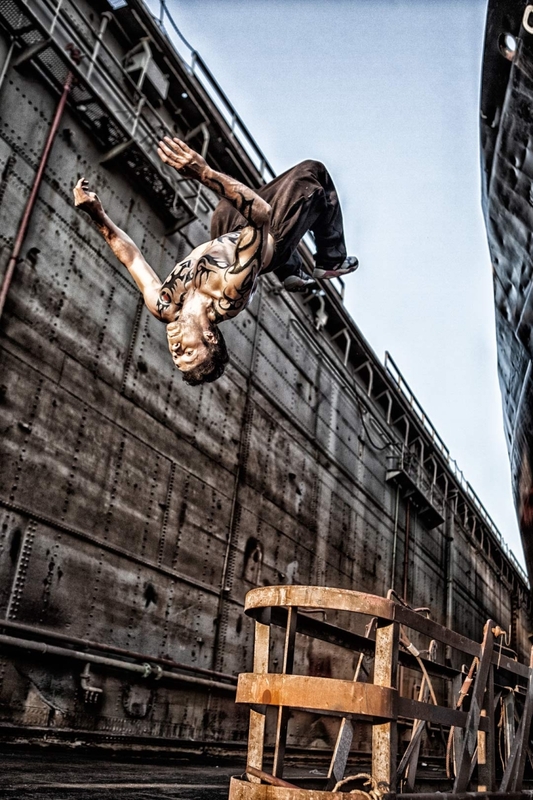 I became known in Greece by my parkour videos on YouTube which i spread on the internet and also through my work on TV commercials as a stuntman or character ,with many leading roles, for companies such as Peugeot, Vodafone, Cosmote, Nescafe to name a few. I have also had leading roles in movies, music video clips and performances for several live TV shows, events, happenings. Furthermore I have been hosting the biggest parkour/freerunning event in the world, “Red Bull Art of Motion in Santorini”, 3 years in a row, as the Greek host, alongside of famous American event hosts from L.A. 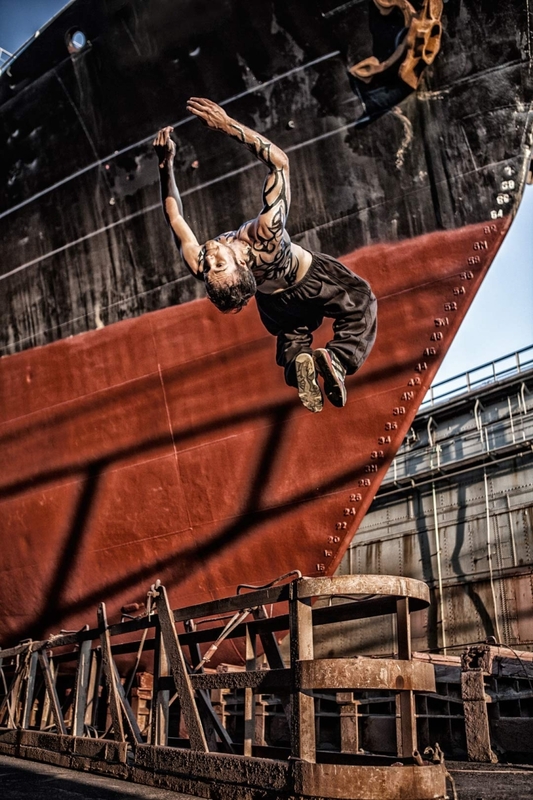 I love to share the philosophy of Parkour along with some secrets of success I have learned from books, great personalities or athletes, personal experiences and movies. One of the thing I love the most, is to motivate people in moving forward, to believe in themselves, and to set their goals high, even if those goals may seem crazy or impossible. I am looking to accomplish one thing for now, to succeed in the future goals i have set. To do this i need to improve myself in every aspect and in every possible way. I train to become stronger and faster, both physically and mentally. I train my mind regularly taking mind tests and exercises, and i read a lot about the things i am interested in, to gain knowledge. “A reader is the leader”. If you do these things daily, success is inevitable. Though you have to be passionate and to believe in yourself, and of course to trust the process. My greatest achievement would be to be part of something big , to become a great aspirator and to change people’s lives by helping them in following their dreams. I want to do this through my future plans which I will explain further throughout the following questions.. The greatest difficulty for me is the mental blocks that you sometimes have to deal with. Sometimes you know that you can do something, but for some reason, you are afraid to do it. Especially when this has to do with moves you have to execute high of the ground, knowing that making a mistake could cost you your life. That’s why you have to train the moves again and again at lower heights, to gain experience and self confidence. 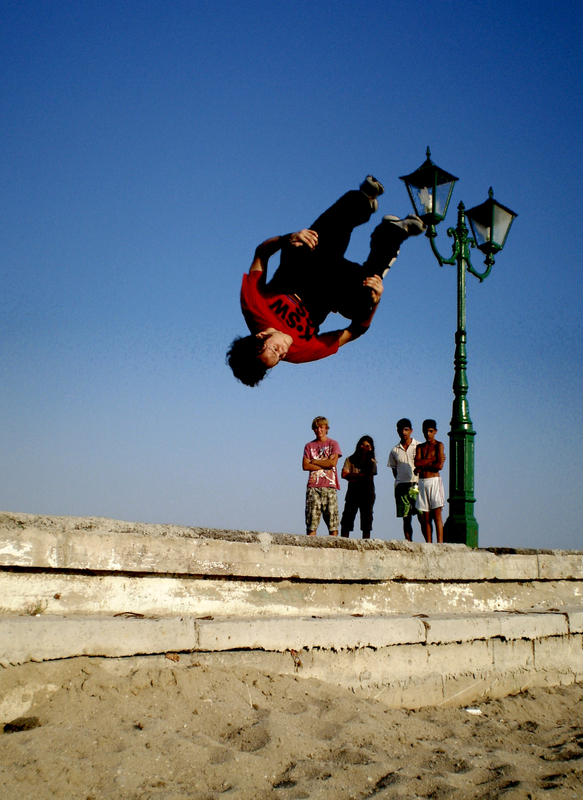 Repetition is the key to success in parkour. The fact that u can create your own path. A path that is unique and that no ordinary people can pass through. The great feeling u have when you overcome an obstacle that used to be difficult. As a result you learn to apply the same in your life. When you can see your goals as a route, and the problems as the obstacles u have to overcome. It’s a kind of philosophy in a way. I practice alone almost every day, when I go to the gym or for conditioning training. I use to go indoors every morning, and outdoors every weekend with my friends for parkour training. Focusing ,knowing your limits, and as i said before…repetition is the key to success..because this builds your confidence, and you are more capable and efficient to execute any moves. Also daily training is a must if you want to improve and to maintain a high level of efficiency. A good diet helps too. When are you the most nervous when competing? 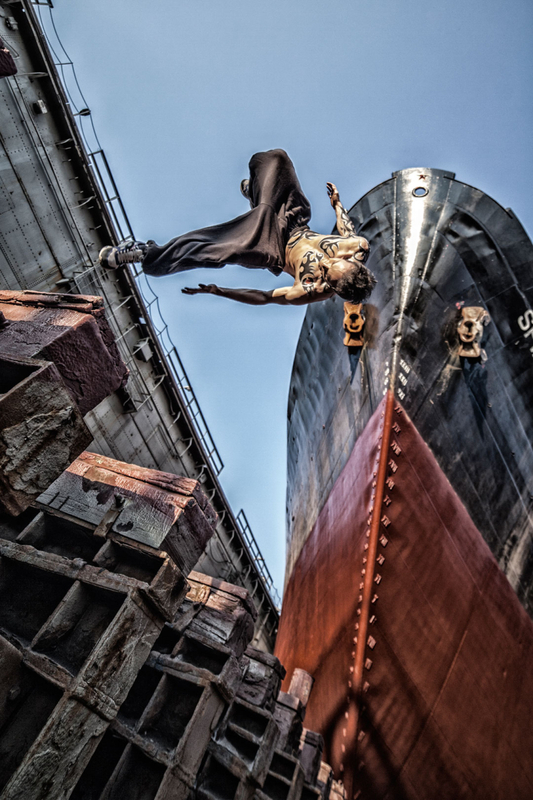 Parkour is not about competing. It’s about self development and self discipline. It’s about you. However there are some events these last years, that promote competition, companies, sponsors etc, but i have never competed myself. Original traceurs back in 90s used to have a strong spirit and train all together. I was the Greek host 3 years in a row for the biggest competition in the world, red bull art of motion. I enjoyed doing that more than competing. I don’t really know, but i have received some messages from different people. Especially from younger guys, or people who didn’t use to have goals or motivation to achieve great things in their lives, and from people who had been struggling with weight problems and things like that. I have helped change their lives in a good way. I have inspired them and motivated them. this is something that i like to do through the philosophy of parkour. I am so lucky to be a parkour pioneer in Greece, so i spread it through media or internet, and a lot of young kids started training and practicing the sport and they still do. My future plans has to do with my new career goals: acting and film making. With parkour i managed to get into movies and commercials and i liked it so much. its like i am starting from the beginning again. 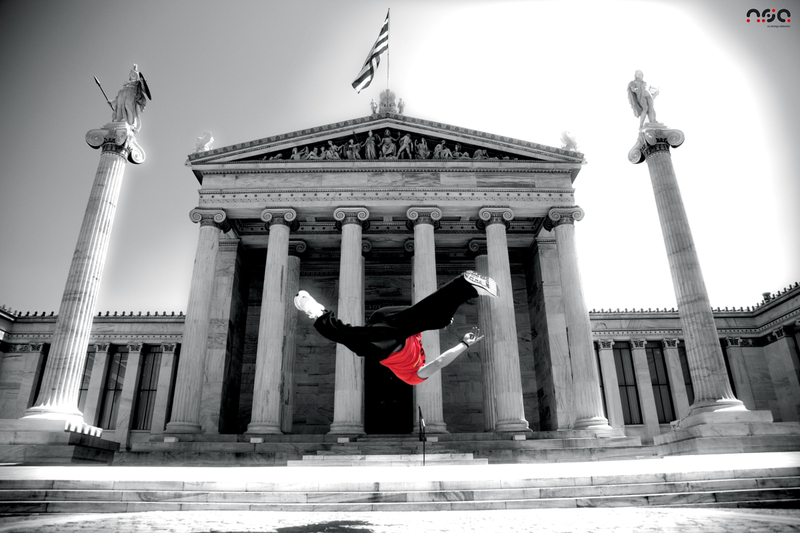 In parkour i am somebody here in Greece, but with acting i have to start from zero. i find it exciting to reach as high as i can, that’s why i have decided to move to L.A. to pursue my acting career. The biggest industry in the world. My goal is to participate in action movies and in tv commercials and later to be able to create my own productions there. I suggest that they read about parkour. They have to know what it is and what it isn’t. They have to know the history and the philosophy first of all. 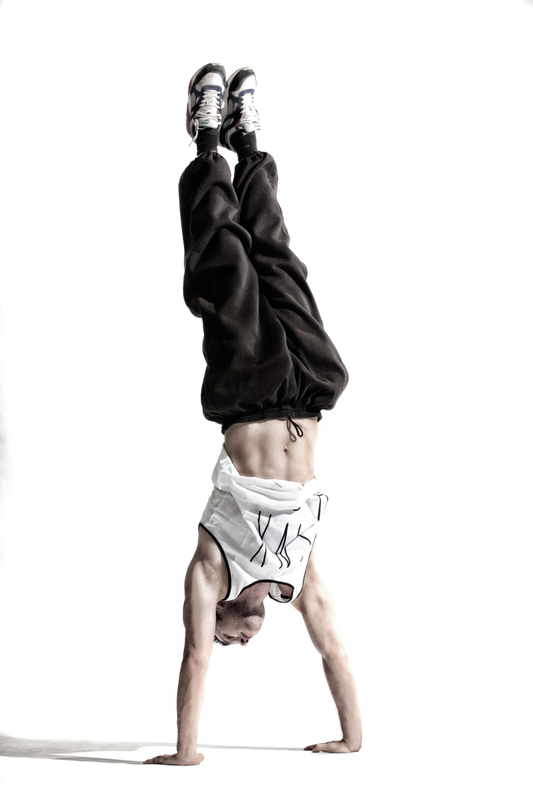 After that to start with the basic conditioning exercises for a couple of months and then to get into parkour moves. It’s a good idea to find other people who already train parkour to learn some basics or at least to watch some video tutorials on YouTube for the basic moves. They must be persistent and to know their limits, and not try out something they are not 100 percent sure they can execute. 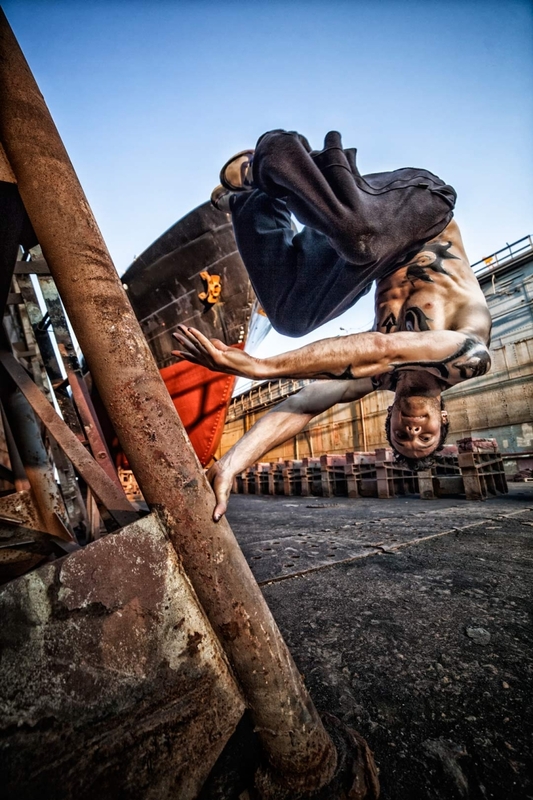 parkour is not about showing off, its about moving efficiently and becoming strong mentally and physically, using your mind and your body all the time in creative ways.